California Chamber of Commerce employment experts have previously written about the California Supreme Court’s rather groundbreaking decision about which test should be applied when determining whether an individual is an employee or independent contractor (Dynamex Operations West, Inc. v. Superior Court of Los Angeles, No. S222732 (April 30, 2018)). The new test set forth in Dynamex, referred to as the “ABC Test,” was applied to alleged violations of California’s Wage Orders adopted by California’s Industrial Welfare Commission. And although the Court’s decision in Dynamex was limited to those disputes involving alleged wage order violations, it remained unclear whether the test would be applied to non-wage order claims since the Court did not express an opinion about non-wage order claims. A recent decision from the California Court of Appeal, Garcia v. Border Transportation Group, LLC, D072521 (October 22, 2018), confirmed that Dynamex’s ABC Test will be applied only for wage order purposes, and the long-standing and more flexible Borello test will continue to be applied to any and all non-wage order claims. The plaintiff in Garcia was a taxicab driver who worked for a cab company for several years before suing the company, alleging he should have been treated as an employee, not an independent contractor. Garcia brought a total of eight claims, five of which were based on wage and hour violations. The trial court applied the Borello standard and ruled that Garcia was an independent contractor as to all eight of his claims and Garcia appealed. The Dynamex decision was published after Garcia’s appeal was fully briefed, and the Court invited supplemental briefing to address the applicability of the ABC Test. As a recap, the ABC Test presumes a worker is an employee and places the burden on the hiring entity to demonstrate otherwise. C) The worker is customarily engaged in an independently established trade, occupation, or business of the same nature as the work performed. The Garcia Court also held that Borello test applies to non-wage order claims when determining whether a worker is an employee or an independent contractor. While the Court’s limitation of the ABC Test to wage orders can certainly be construed as a win for employers, application of the ABC Test will continue to be a huge area of concern for both businesses and individuals alike – particularly given the growth of the “gig economy” and the large number of individuals choosing to work as freelancers as opposed to employees. 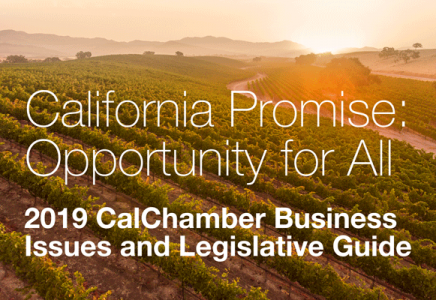 In response to the significant implications of the ABC Test, CalChamber has led the I’m Independent Coalition, a coalition of affected workers and businesses. The coalition will continue to work at having legislation to introduce in the new, post-election session that will provide solutions and protect the ability to work independently or freelance. CalChamber members can read more about Independent Contractors in the Types of Workers section of the HR Library. Not a member? See how CalChamber can help you.